The interpretative field is ambiguous and indeterminate, and only the vector of political decision (which requires knowledge) gives it a univocal sense. If one removes the vector, which indicates the direction, one has to do with a stick that can be held either way, that is, that can interpreted right or left—pure political romanticism, Carl Schmitt would say. The question seems to be that of the relation between background of indeterminacy and vector of sense. A generalized suspicion suggests that the latter may be pure propaganda; it is the former—confusion—that is the truth. 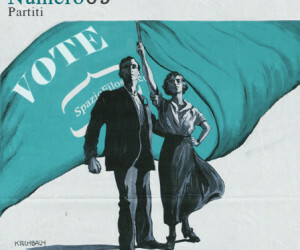 The function of politics is often identified with decision-making, whereas decisional blocks, paralyses, and deferrals are rather considered as its malfunctioning (in Italy, the institutional outcome of this would be the vituperated perfect bicameralism). Nevertheless, it is undeniable that political romanticism—a term here used to define the element of indecision, of being always ready to take a step back, to say and do anything and its opposite—is a structural component of political action. The unpleasant side of this is the radical ambiguity, insincerity, and hypocrisy that one has come to expect from politicians. Conversely, decisionist passion loves politicians who speak clearly. Precisely this passion, however, which is often presented as anti-politics, ends up launching into the arena of political success classical politicians, irremediably affected by duplicity. Here one could wonder whether the capacity to bend and sail with the wind no matter where it comes from is in the service of a fundamental clarity of one’s own agenda, or whether the only agenda is the attainment and conservation of power as the only real essence of politics, and all contents—left or right, justice or privilege, war or peace—are in the end simply part of the wind. In the latter sense, politicians would have no ideas. And the fewer ideas politicians had, the more they would be loved. 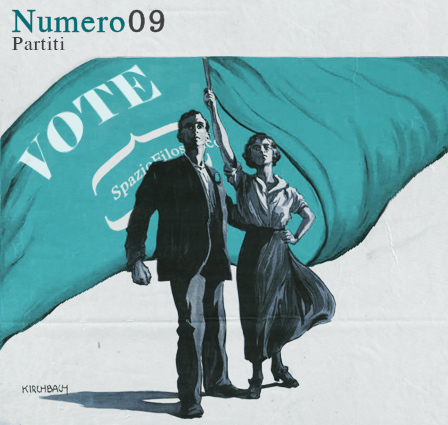 Ultimately, at least in Italy, the most popular politicians are exactly those who have all ideas (one, none, and a hundred thousand, as in the title of Luigi Pirandello’s novel). Let us call them the “Chinese” of politics. The issue seems to be the relation between ambiguity and decision in politics. Politics could perhaps be defined as a certain form of the connection between indecision and decision. In a famous book written about twenty years ago, the historian Pietro Di Loreto highlighted the “doubleness” of Palmiro Togliatti, the Italian politician and leader of the Italian Communist Party. The communist myth has for long worked on the basis of the mechanism of saying one thing (promising the revolution) and doing another (working at the creation and consolidation of the bourgeois welfare democracy). Perhaps all myths employ a similar connection as a resource. If, in some sense, the Christian-democratic experience in Italy is less marked by a programmatic ambiguity (and more by personal and curial hypocrisies), this is perhaps due to the fact that Christianity is already in itself a compound made of apocalyptic expectations and liberal adjustment, of marginalization of the world (including politics) and appreciation and autonomization of the world (including politics). If politics is not only an exit from indecision, but also an exit that somehow remains within indecision, and for this reason it is a myth; and if this is not a mark of malfunctioning but rather it pertains to the physiology of politics, and only because of this also to its pathology; then one may ask: What are parties for? What do political parties do? What kind of organisms are they? The classical idea is that parties are the part of the soul, that is, that from the outside they introduce into an otherwise amorphous social body the form, as in Kant’s determinant judgment. This idea, however, seems to have no longer currency; power that gives form has lost its point, and the amorphous (for example, in the form of anonymous holdings) seems to prevail. At best, contemporary parties seem to be capable of exercising Kant’s reflective judgment, which receives and interprets the demands coming from society. Or perhaps the classical idea is lacking an addition ever since the beginning. The political form, which parties introduce from the outside, is only the thesis. The idea of society, that is, the political decision without which a party becomes a non-place, is never alone. It rather contributes with others so as to shape the social body, whose synthetic form therefore originates from mediation. The first word by a party that truly deserves such a name is always void of ambiguities—in Togliatti’s case, it is the decision in favor of communism. A party is then a machine that produces duplicity: ambiguity is (and must be) the output, not the premise, of the party-system. The decision (the determinant form, which comes from without) is the thesis; experience does not dull but rather widens the sharpened point of decision. Of this kind is the experience of meaning during the Italian Resistenza, the struggle for national liberation during the fascist era. The Resistenza, with everything it entails (conflict and collaboration with other anti-fascist forces, celebration of freedom, condemnation of the fascist dictatorship, etc.) is the reality that determines the torsion of the input-form (i.e., the idea of communism) into an output-form* (i.e., constitutional patriotism). Political parties are machines born to betray themselves. This cannot occur if, as is the case for contemporary main parties, such parties have no identity. Betraying that which does not exist is in fact difficult. Instead of a fruitful production of ambiguities, nowadays we observe parties that are no-places, ambiguous and formless since the beginning, parties that, when facing reality (understood here not as an experience of meaning but rather as limit and frustration of one’s own ambitions or wishes), reactively produce a decisionist output. Rather than giving form to the formless, parties are in danger of becoming the form (the mask) that the formless takes up. Only those who are resolute ever since the beginning can later reconsider their own decisions. Those who have no ideas, those who are undecided, run the risk of ending up in a form that is void of addition, used as a weapon to kill reality—technique of decision, decision as Ge-stell, imposition of form onto a reality that does not sustain it. How to produce duplicity—perhaps this is the impossible task for parties that are wavering since the outset, that need to listen to “the people” (one says, one does, …) so as to know what they themselves are (primary elections, opinion polls, etc.) and were they ever to know what they are, they would stop listening. To know what they are by themselves, in rigorous isolation: this is the task of parties, which can truly be open only insofar as they are in isolation.